Are you looking for a holiday on the Amalfi Coast? This magical coast is known worldwide and a must to visit at least once in a life time. Have you already planned your trip? Are you still looking for the best solution on where to stay on the Amalfi Coast? Well why not keep on reading, you are on the right website! Cost wise you cannot beat the hotel Europa B&B on theAmalf Coast… very reasonable, comfortable which offers its guests a super super delicious continental breakfast. The best way to start the day! The hotel Europa B&B is in the heart of Minori, a town on the Amalfi Coast, next to Amalfi. There is much to discover in this town such as the Roman Villa, which dates back to the 1st century A.D. or you can take a walk through the nearby Lemon Gardens and take in the unique perfume. The owners of the Hotel Europa have been hoteliers for generations and this family hotel, Bed and breakfast, in the center of Minori is just 50 meters far from the beach, just a few steps far from the Villa we have already mentioned and near all the local facitlities, also all the buses for the coast stop outside. Parking is available for those who come by car. The reception works 24 hours a day. Would you like to know more? Keep on reading the next paragraphs! Our rooms are all well furnished, they have a simple style but are very cozy. Every room has windows and balconies, there you can appreciate the views of the Minori valley and Ravello. Prices differ depending on the room you book , however, if you want to save even more then there are rooms available that do not have views, still very nice but cheaper ! Every room has air conditioning, heating, TV LCD, phone, hairdryer and free WIFI . Many affiliated services are available for the hotel Europa guests. Want to go to the beach? Tell us and we will book for you and reserve your place in one of the bathing lidos. Want to go to a restaurant for lunch or dinner? Then all you have to do is ask at reception to make a booking. The same thing applies for excursions and booking with agencies for transfer reservations to or from Capodichino airport etc., Just tell us and we will do it for you! If you would like to be updated with our special offers? 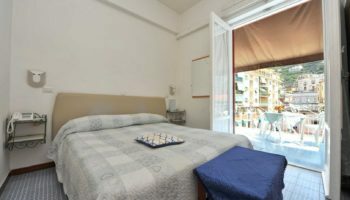 Well, have a look on this link, you should find what you are looking for, the right opportunity to spend an amazing holiday here on the Amalfi Coast! Just think about it: waking up with our wonderful breakfast to start your day perfectly! PLEASE REMEMBER: there is a city tax (tassa di soggiorno) of 2 euro per day per person to be paid for the first 5 days of stay. This applies all year round except from the 10th of January to the 31st of March, and from the 6th of November to the 21st of December. 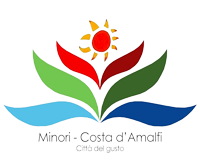 We are in Minori, one of the first towns on the Coast coming from the South, it is situated between Maiori and Amalfi. Here you will find wonderful sandy beaches, public and private. Where are you coming from? Naples, Rome, Salerno? 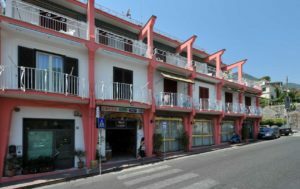 Well… the best solution if you are coming from Rome or Salerno is by taking a SITA bus from the Salerno railway station or a private transfer to Minori (the bus stops right outside). If you don’t like narrow and curvy roads (we do understand ) then take the ferry from the port of the Piazza della Concordia Square, a direct few minutes walk from the Salerno station. 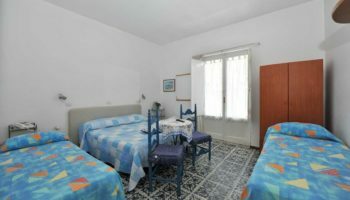 If you are coming from Naples you can do practically the same thing, take a Sita bus or ferry and we’ll wait for you here at the Europa bed and breakfast! Happy with what you have seen and read… Then why not book now to make sure there is a room for you! If you want to start visiting something nearby to you on the Amalfi Coast, start here in Minori. It is a town with 2700 inhabitants. Its name has an ancient origin, once it was “Rheginna Minor”, next to the Rheginna Maior. As the ancient Roman Villa can testify, tourism began here on the Amalfi Coast in the Roman Era. The other attractions to visit are the Torre Paradiso (Paradise Tower), Fontana dei Leoni (Lions Fountain), Mezzacapo Castle, and obviously the Roman Villa and museum, not forgetting the beautiful lemons gardens. We hope we have been of some service and that you have found all the information you were looking for here. So why not book now! We are looking forward to welcoming you to this heavenly coast and wishing you a wonderful, enjoyable and relaxing holiday.